What Drove Brent Above $85? Oil jumped on Tuesday morning after a busy geopolitical weekend was compounded by a flood of bullish news on Monday afternoon. 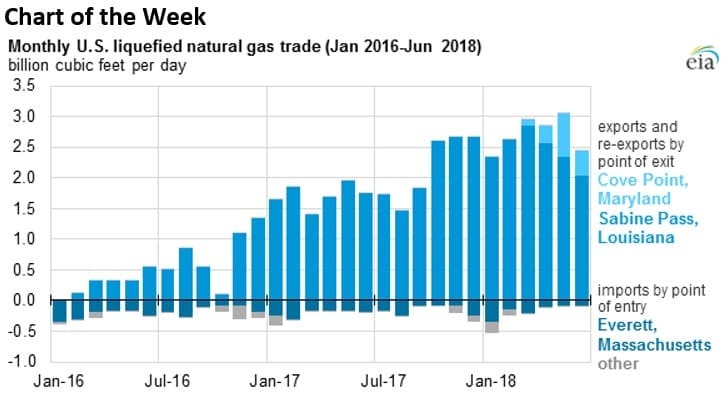 - U.S. natural gas exports averaged 0.87 billion cubic feet per day (Bcf/d) in the first half of 2018, more than double the 0.34 Bcf/d average in all of 2017. - New export terminals have opened up a greater flow of gas from American shores. - For instance, Dominion’s (NYSE: D) Cove Point LNG export terminal in Maryland began operations in March 2018. - Another four LNG export terminals are under construction and will enter into service by the end of next year. • A consortium led by Royal Dutch Shell (NYSE: RDS.A) and Eni (NYSE: E) developing the Karachaganak gas condensate field agreed to pay $1.1 billion to the government of Kazakhstan to settle a profit-sharing dispute. The Kazakh government will also receive a higher percentage of the profits from the project. • Equinor (NYSE: EQNR) will acquire Chevron’s (NYSE: CVX) 40 percent stake in the Rosebank development off of the UK’s north coast. • Citi says that natural gas prices could quadruple if the U.S. sees a bad winter. Henry Hub prices could spike to $12 to $16/MMBtu “similar to where marginal generation costs of fuel oil and diesel would be,” Citi’s Anthony Yuen said. 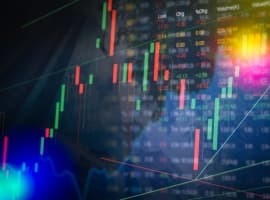 That would be bad news for consumers but would create a windfall for gas drillers such as Range Resources (NYSE:RRC), Southwestern Energy (NYSE:SWN) and Cabot Oil & Gas (NYSE:COG). Oil prices spiked on Monday on heightened fears of a supply crunch as more Iranian oil goes offline. Also, news reports suggesting that China is also cutting imports from Iran are only going to add to the bullish sentiment since China was expected to resist U.S. pressure regarding Iranian oil purchases. Brent topped $85 per barrel on Monday. “It shows that the market is not convinced about the ability of the producers’ group to replace Iranian barrels,” said Tamas Varga, an analyst at PVM Oil Associates Ltd., according to Bloomberg. Iran exports hit lowest level since February 2016. Iranian oil exports are plunging, and fell to their lowest level since at least February 2016 last month at 1.72 million barrels per day. 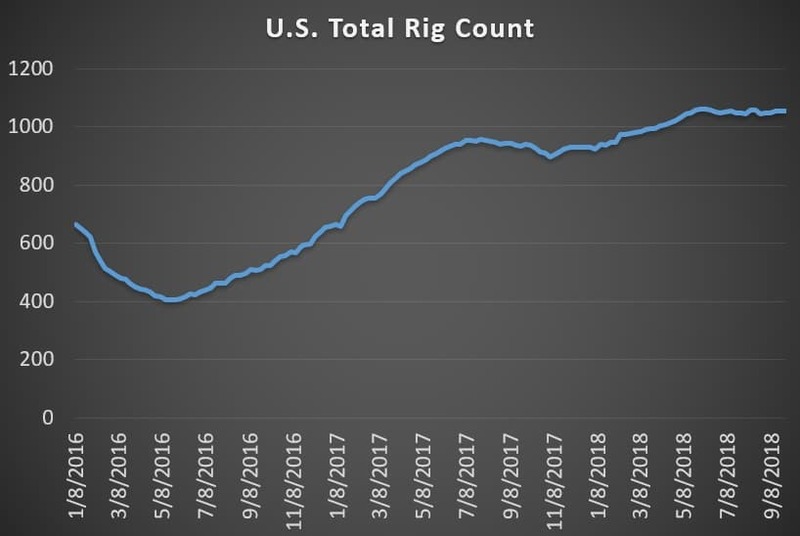 That was a decline of around 250,000 bpd from August, and down roughly 1 mb/d since a peak in April, according to Bloomberg. However, Iran likely has diverted more oil to storage at sea in the Persian Gulf. Saudi Arabia and Kuwait discuss Neutral Zone oil. Saudi crown prince Mohammad bin Salman reportedly discussed the idled Neutral Zone oil fields with Kuwait when he held talks with the Kuwaiti Emir on Sunday. The fields, capable of producing around 500,000 bpd, have been shuttered for several years. The latent capacity is more important than ever as the oil market continues to tighten and traders focus their scrutiny on Saudi spare capacity. 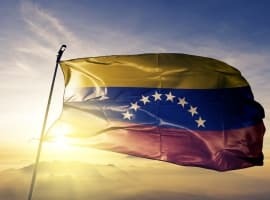 U.S. Congress looks at “NOPEC Act.” A U.S. Senate subcommittee will hold a hearing on Wednesday to look at the No Oil Producing and Exporting Cartels Act (“NOPEC Act”), which would revoke the sovereign immunity that has protected OPEC countries from lawsuits over manipulating the oil market. If passed, the U.S. could sue OPEC members for collusion. The bill has been kicked around for years but past American administrations, from both parties, have opposed it for fear of damaging the U.S.-Saudi relationship. The difference now is that some analysts think that Donald Trump may actually support it. Citi: WTI discount may hit $15. Citigroup says that the pipeline bottleneck in the Permian could result in a buildup of crude oil inventories at Cushing, which could depress WTI prices. Meanwhile, the tightening market globally could continue to put upward pressure on Brent. The result could be a widening differential between WTI and Brent, which would grow to as large as $15 per barrel, Citi says. Barclays: Soft demand will push prices down. Barclays is taking a contrarian approach, bucking the trend of investment banks issuing evermore bullish pricing forecasts. The investment bank says that “prices are ripe for a correction,” citing softening demand and higher supply. Barclays says that the tight market right now could force the U.S. government to either issue exemptions to countries importing Iranian oil or to release oil from the strategic petroleum reserve. Barclays sees Brent falling to an average of $77 in the fourth quarter before plunging further to an average of $70 by the third quarter of 2019. Shell greenlights $31 billion LNG project in Canada. Royal Dutch Shell (NYSE: RDS.A) approved the final investment decision of LNG Canada, a $31 billion export project on Canada’s Pacific Coast. The project is the largest of its kind in years and is a sign that the LNG industry is making a comeback after several years of oversupply. Shell suspended work on the project several years ago, so its revival is a testament to how much the market has changed. LNG Canada will be the country’s largest infrastructure project in history. 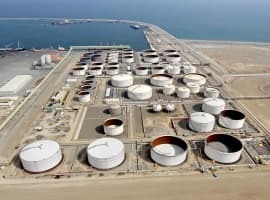 Kuwaiti oil exports to U.S. drop to zero. Kuwait’s oil exports to the U.S. fell to zero in September for the first time since the Persian Gulf War in 1990. The drop off is the result of rising production in the U.S. and a tight market in Asia as Iranian supply disappears. Russian output hits post-Soviet record. Russian oil production rose to a new post-Soviet record in September, hitting 11.356 million barrels per day, a figure that also includes condensate. Russian output rose by 150,000 bpd from a month earlier. Hedge funds bullish. Hedge funds and other money managers once again increased their bullish positioning on oil futures last week, a sign that major investors are concerned about global supply as U.S. sanctions on Iran loom. Energy bonds surging. Energy sector debt has outperformed debt in other sectors this year, as rising oil prices lifts all boats, according to the Wall Street Journal. Petrobras, Exxon, Shell and Chevron win in Brazil pre-salt auction. The latest auction for offshore tracts in Brazil saw strong interest, with Petrobras, Royal Dutch Shell (NYSE: RDS.A), ExxonMobil (NYSE: XOM) and Chevron (NYSE: CVX) all awarded blocks. The auction was also important because it is the last before the upcoming presidential election in Brazil, which will likely feature two candidates that are from radically different parts of the political spectrum. The auction was the fifth sale in the pre-salt. Is China Turning Trump's Oil Weapon Against Him? Should The U.S. Oil Industry Fear The Midterms?